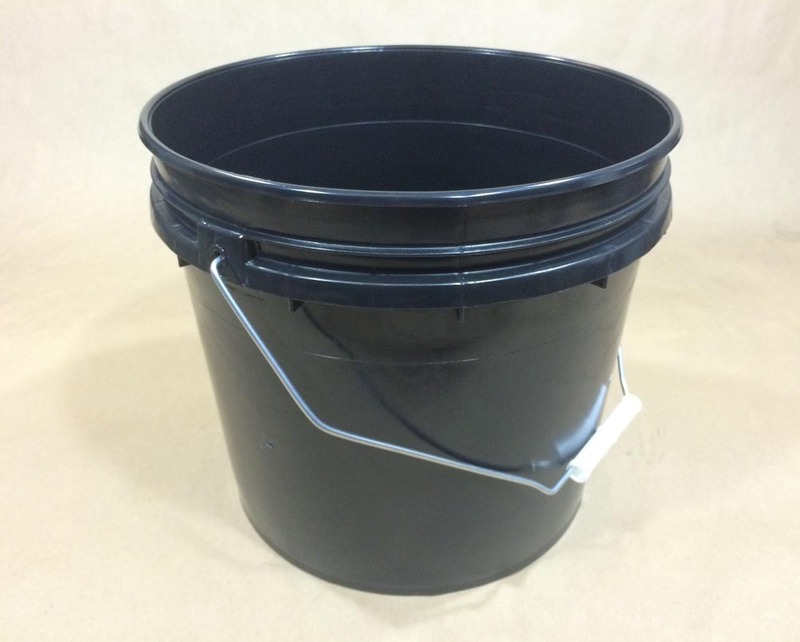 We stock threaded screw top, twist and lock, heavy duty and easy open plastic pails and plastic buckets. 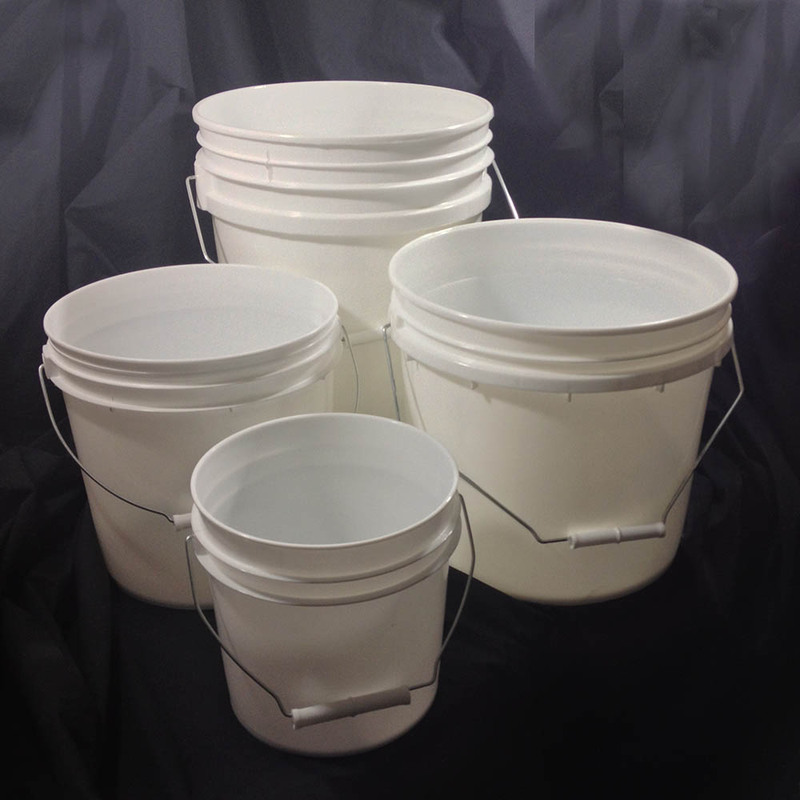 Stock size range from 1 to 6.5 gallons. 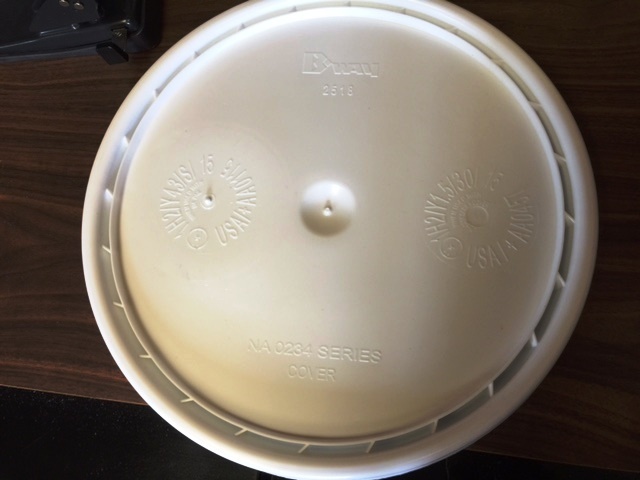 All colors except black are virgin polyethylene and are food grade. 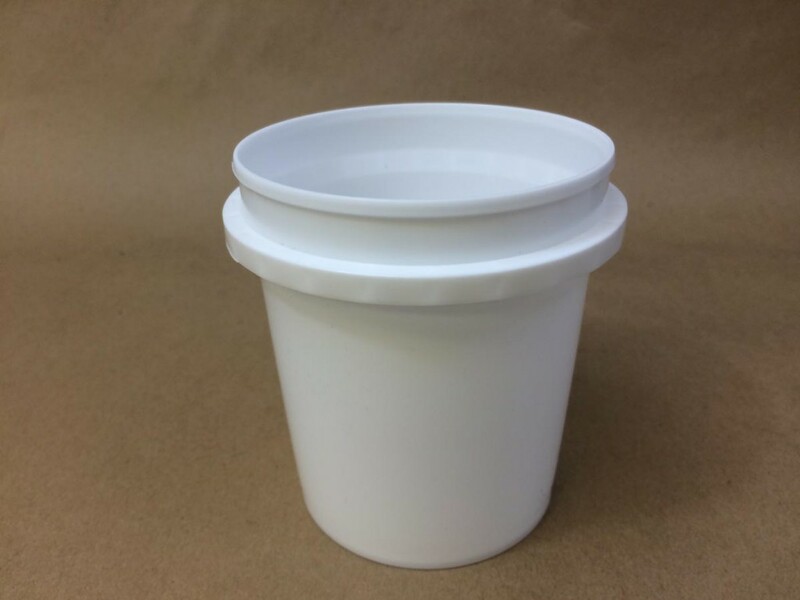 We have listed our food grade plastic tubs at the bottom should plastic food containers also be of interest to you. 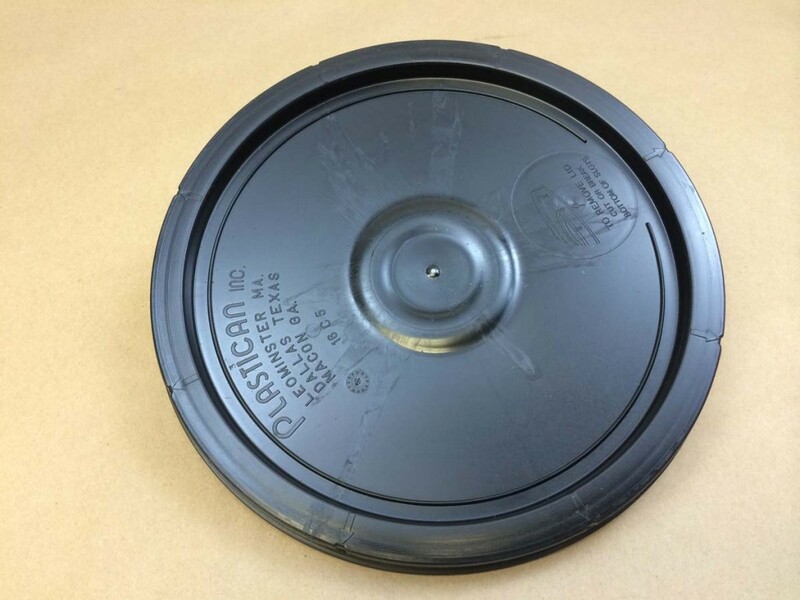 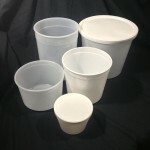 Plastic tubs and deli cups are specifically for foodstuffs and are lighter weight containers. 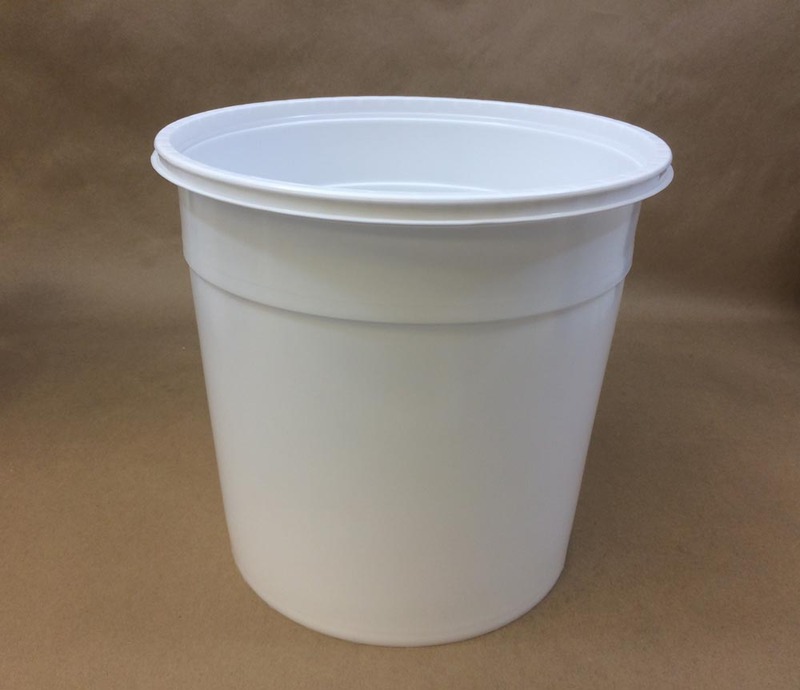 Our 2.5 gallon plastic ice cream pails are very popular with ice cream shops and can be supplied with or without handles. 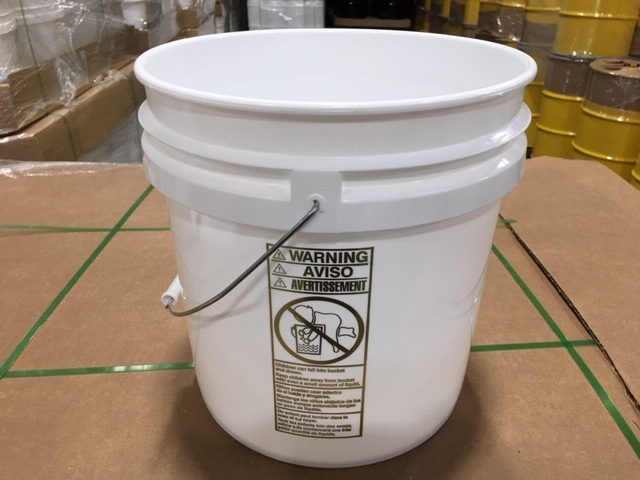 Please find pricing and other information below. For custom printing, the minimum to print is 2000 pails. 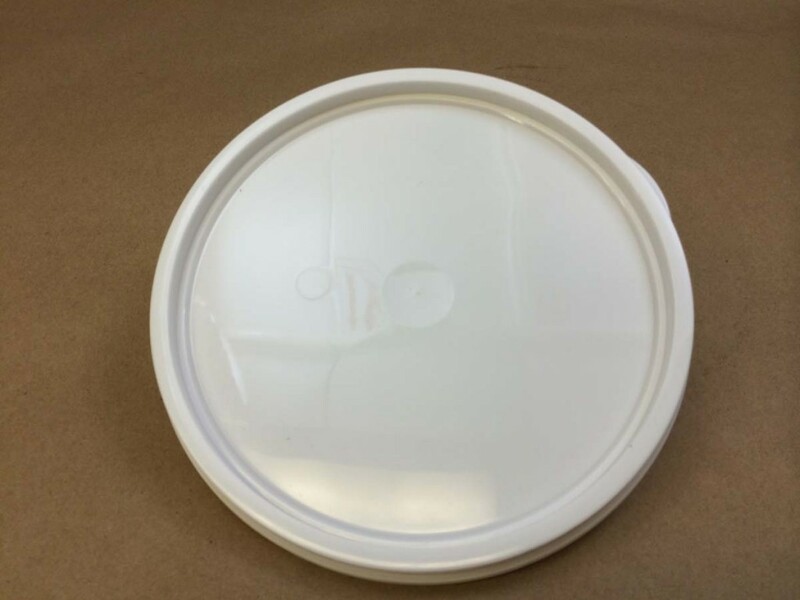 This is for an offset printing process that requires a printing plate for each color in the design, with a maximum of 4 colors. 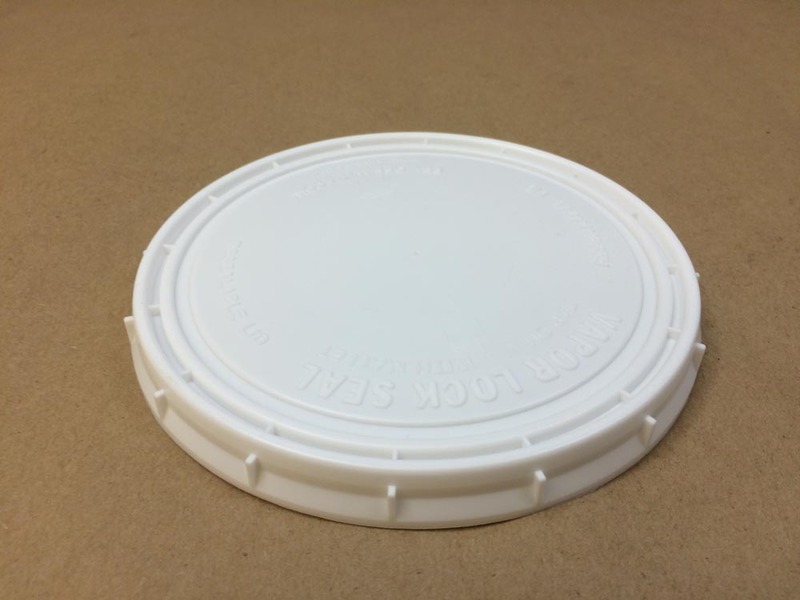 To quote custom print jobs, we would need your art work. 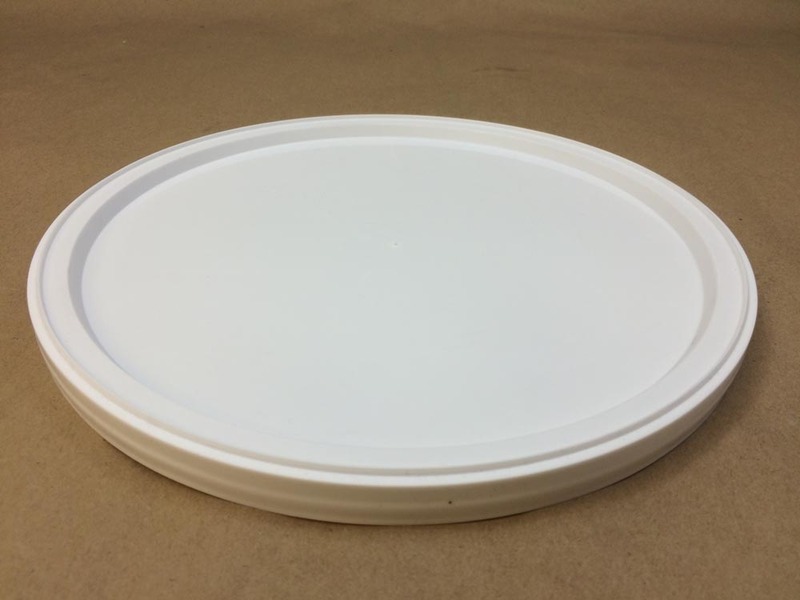 Printing would be quoted per pail plus art and plate charges. 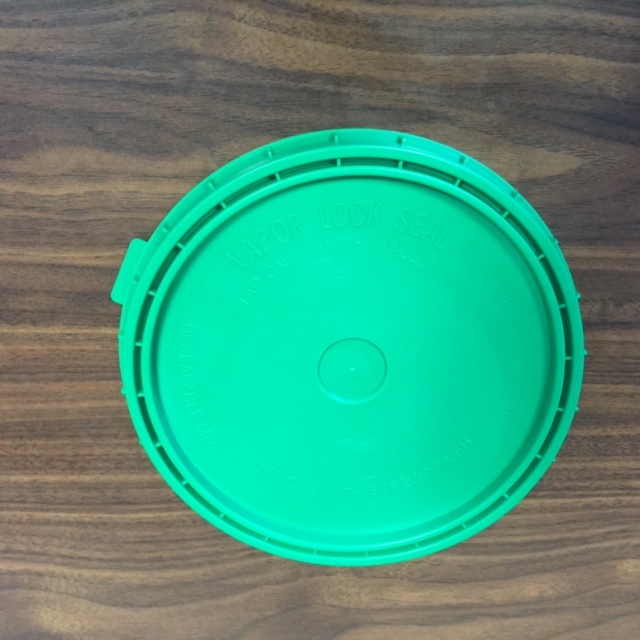 There is also an option for heat transfer labelling. 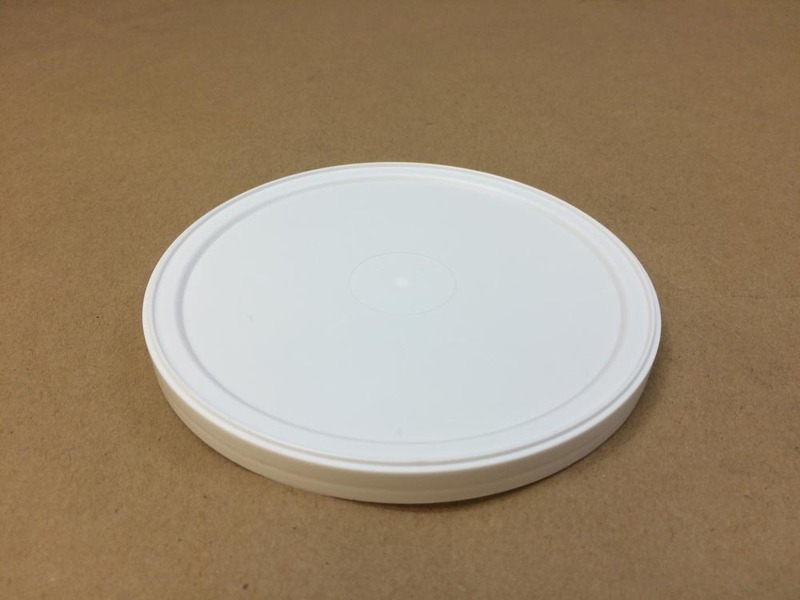 Minimum to order labels is 25-50,000. 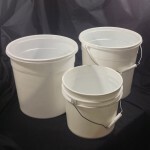 They can be stored for release as needed (2000 minimum), but must be paid for on receipt at the pail plant. 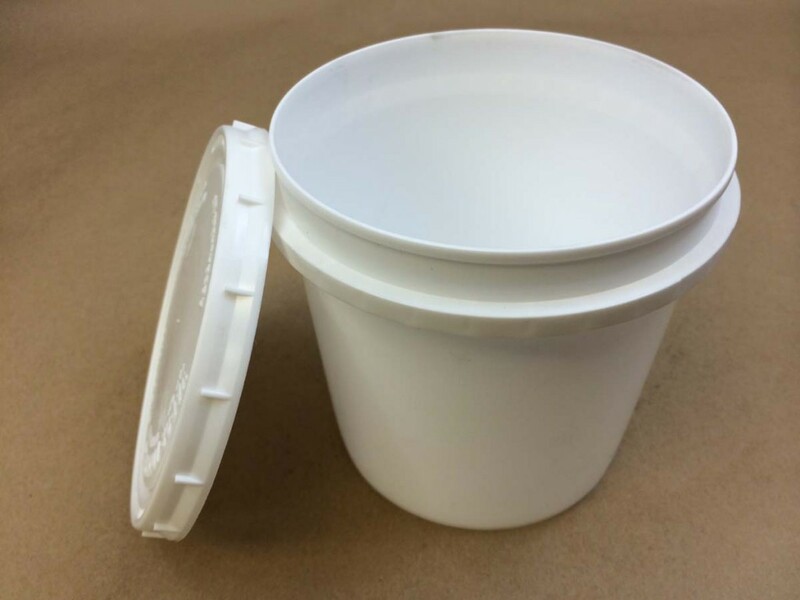 All lids for plastic pails are sold separately. 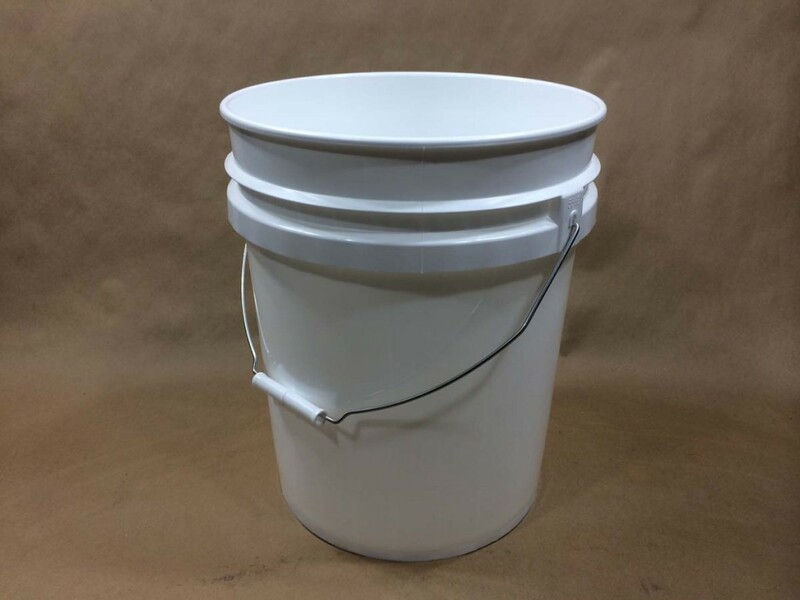 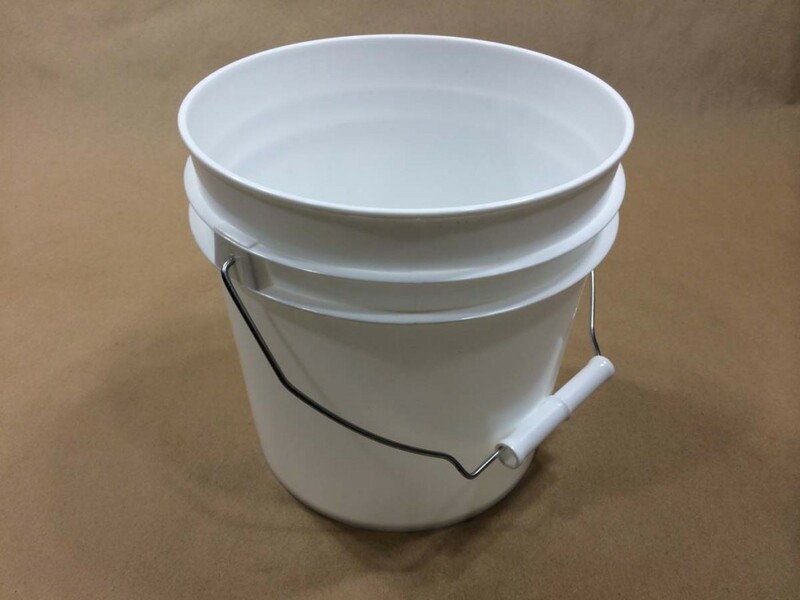 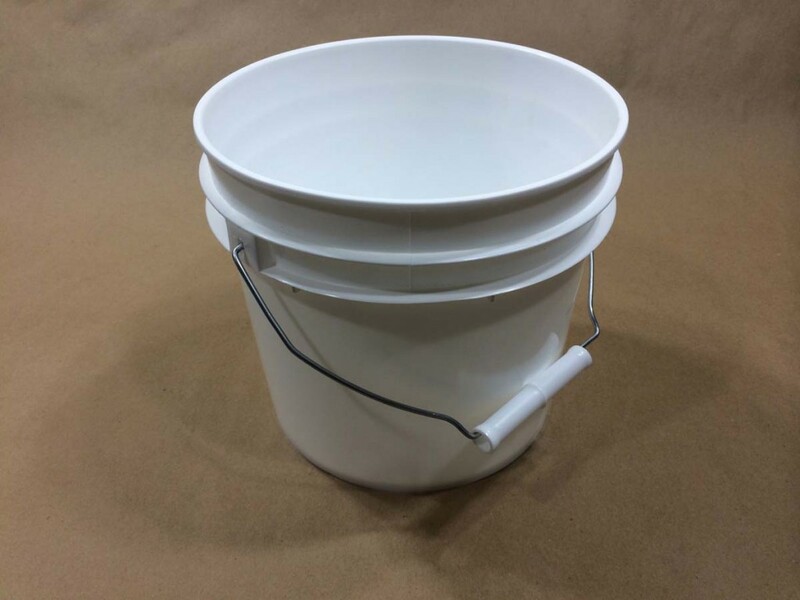 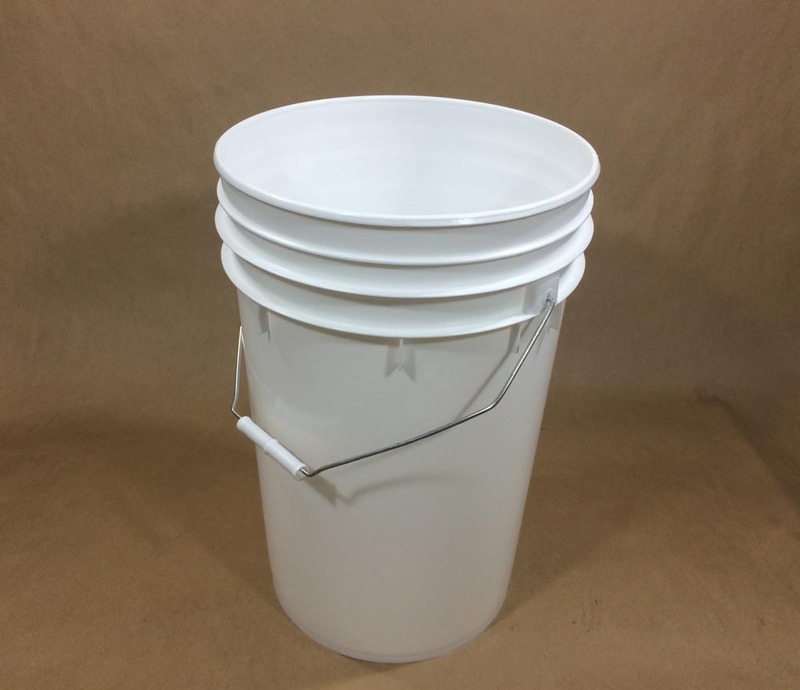 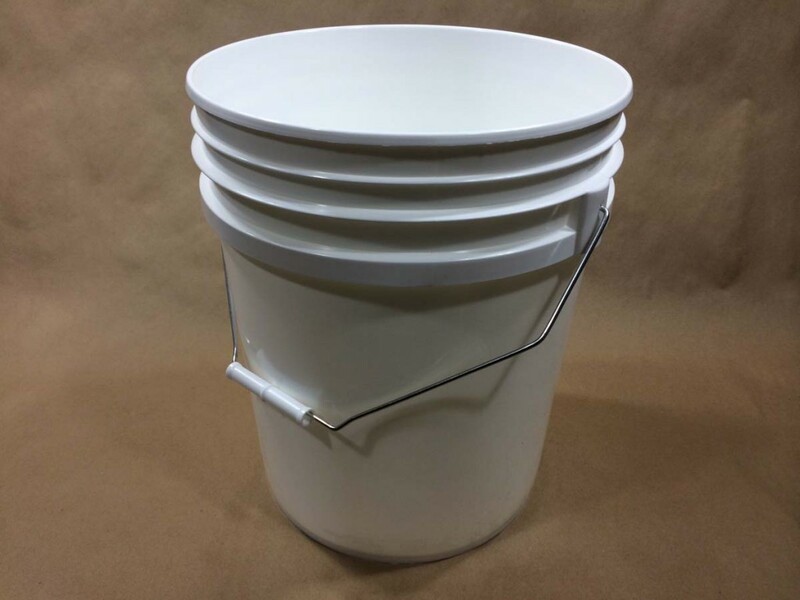 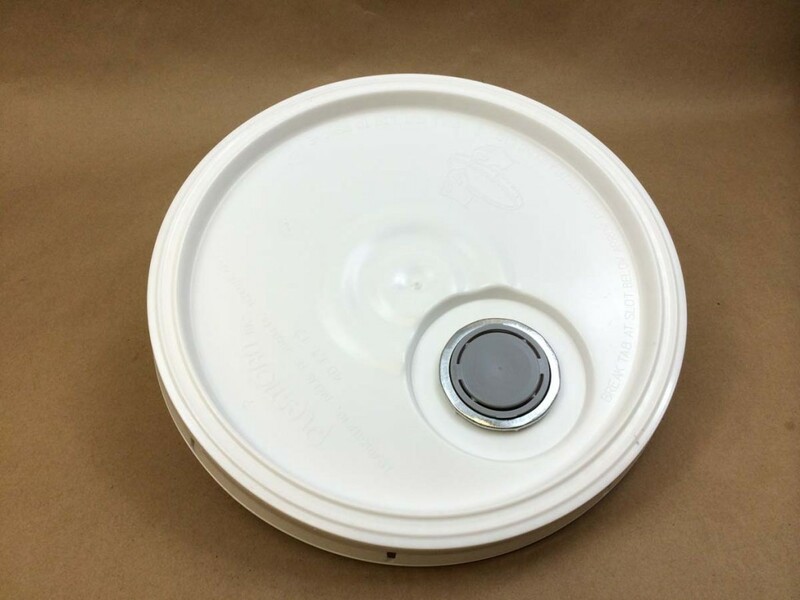 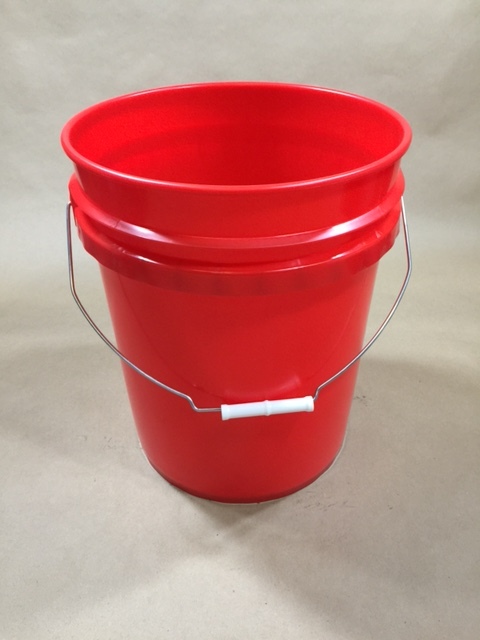 Our 5 gallon consumer/utility pail has a wire bail with a plastic grip and integrated handles on the top. 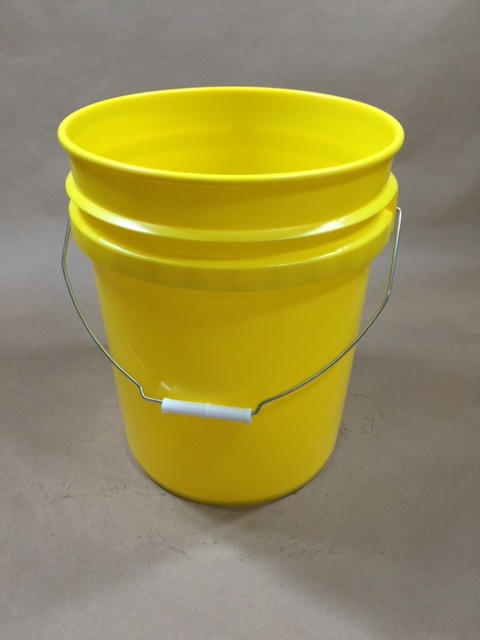 It also has bottom hand grips making this a great pail for pouring. 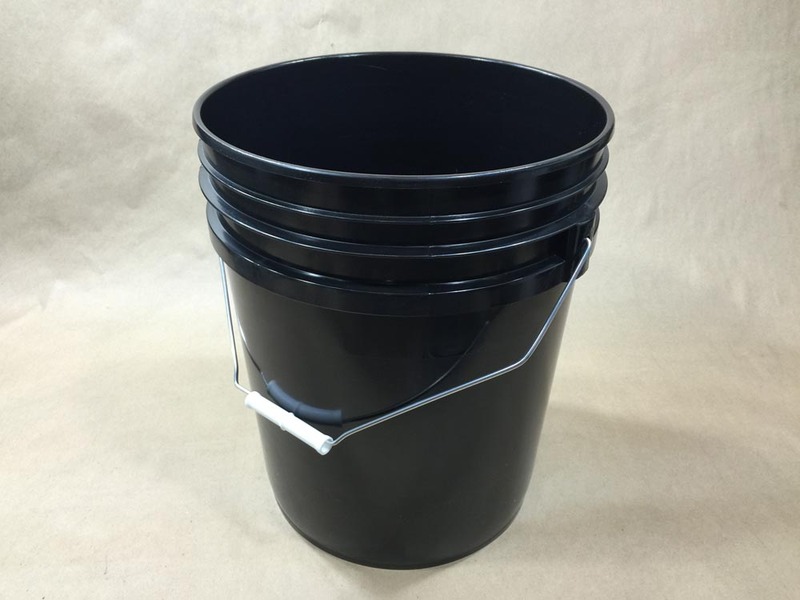 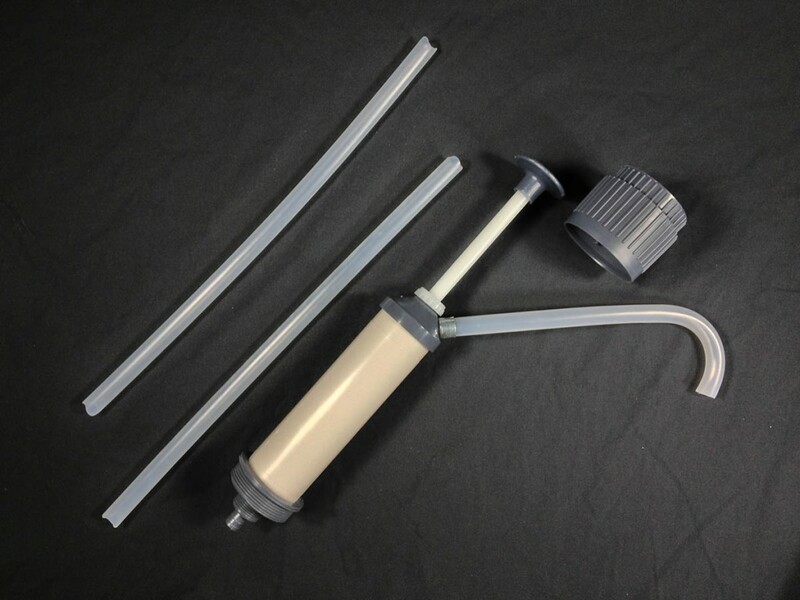 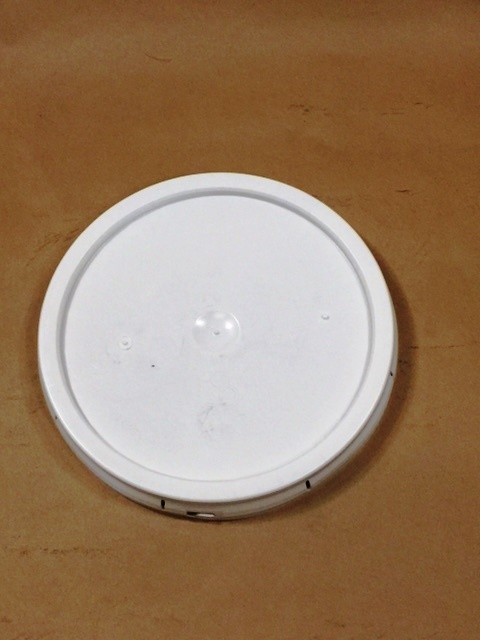 PCI40CLLWHNT lid fits both 3.5 and 5 gallon twist & lock pails. 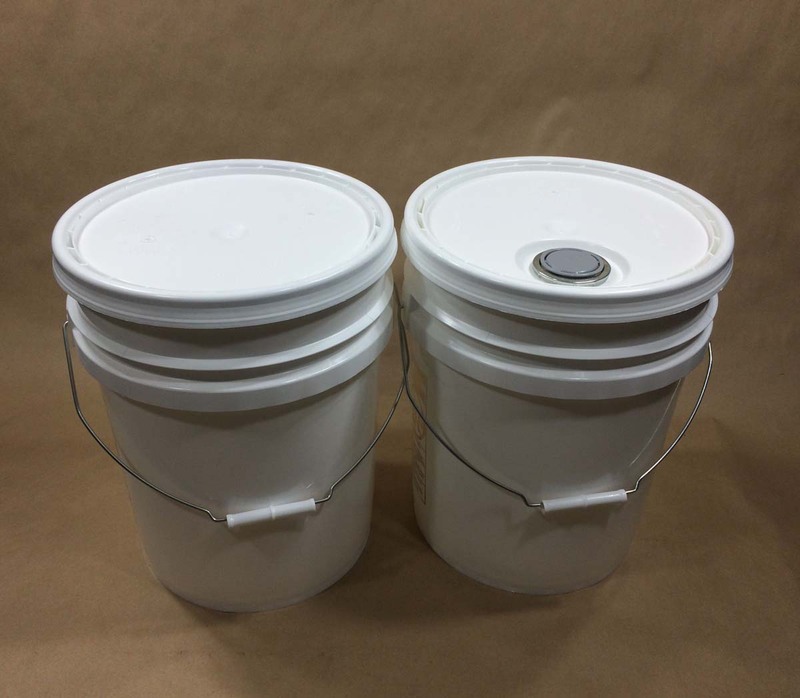 Twist and Lock plastic pails are similar to threaded screw top pails but are engineered differently to require only a moderate twist to engage locking tabs that hold the cover in place. 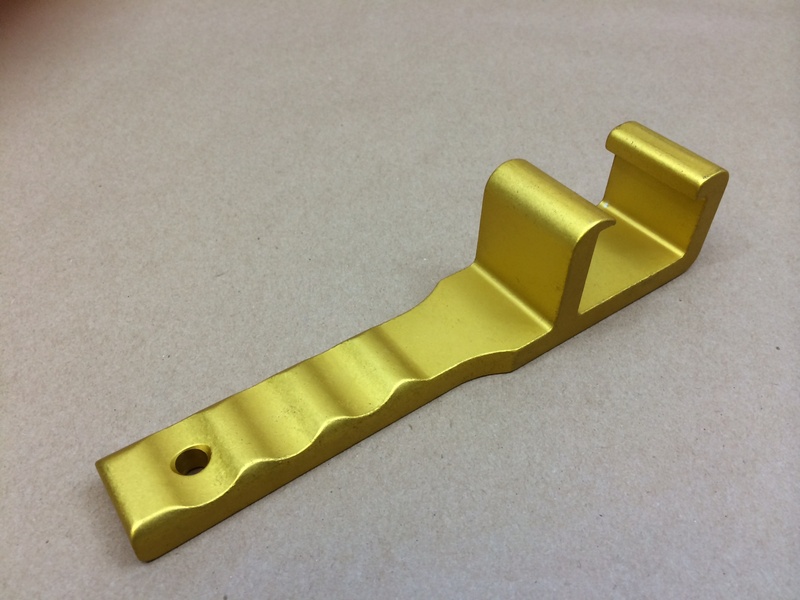 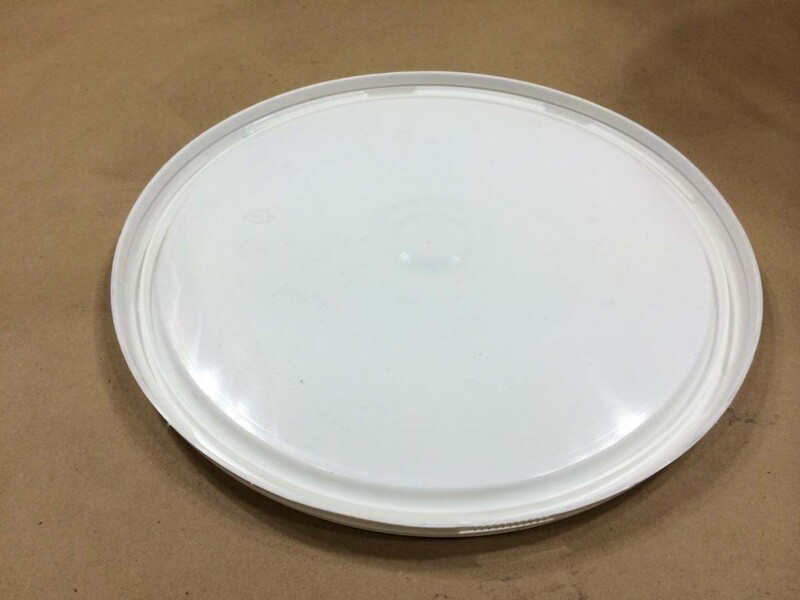 Pack: 180 Tray/32 CaseUN1H2/Y19/S USE WITH 40CLL COVER ONLY. 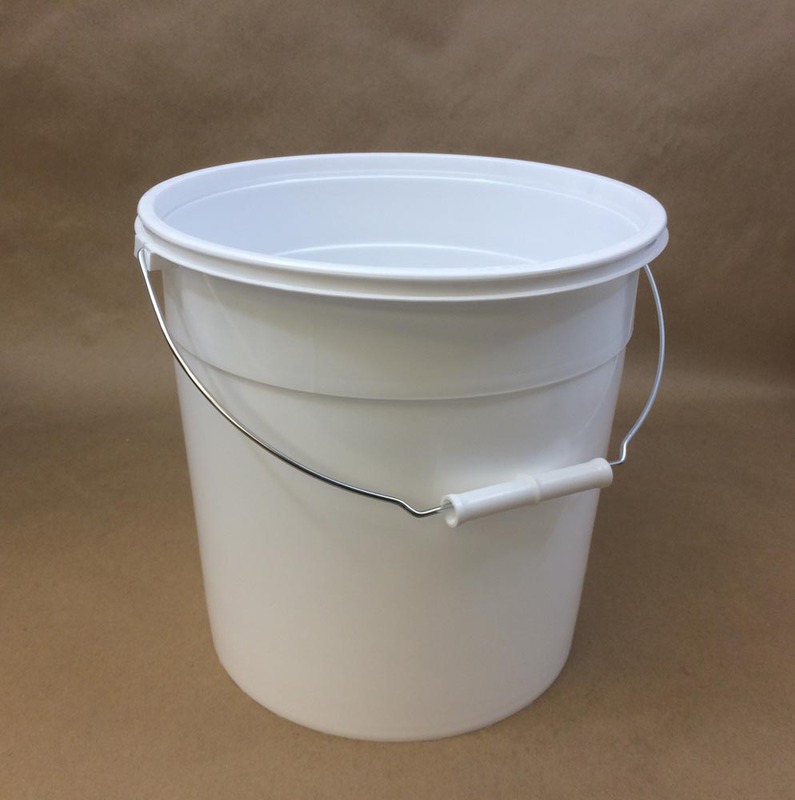 SEAT COVER AND TWIST UNTIL TAB ON SKIRT IS FULLY ENGAGED WITH A LUG ON THE PAIL. 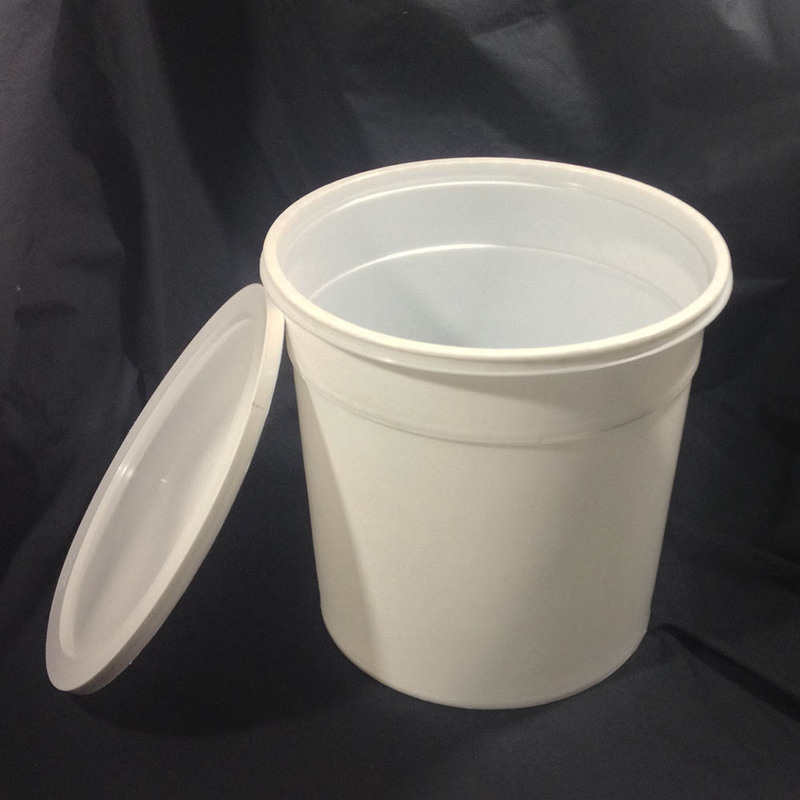 Easy open plastic pails have more pliable lighter covers that allow the lids to be removed easier. 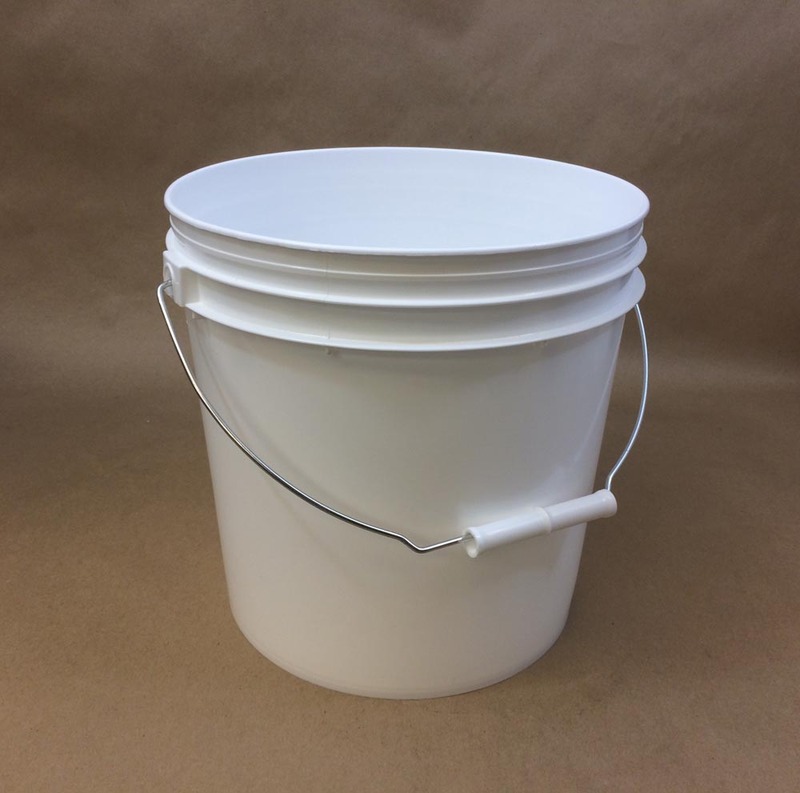 By way of contrast, most heavy duty plastic pails have rugged construction and covers that are focused more on security in transit. 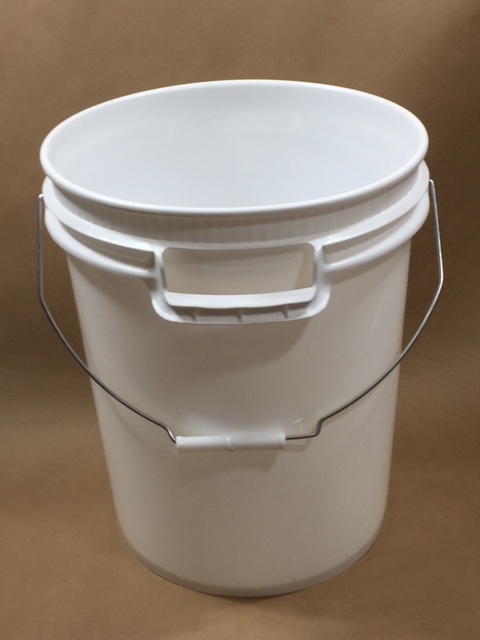 Easy open plastic pails, while still providing an adequate closure, are focused more on ease of opening and closing on the consumer end. 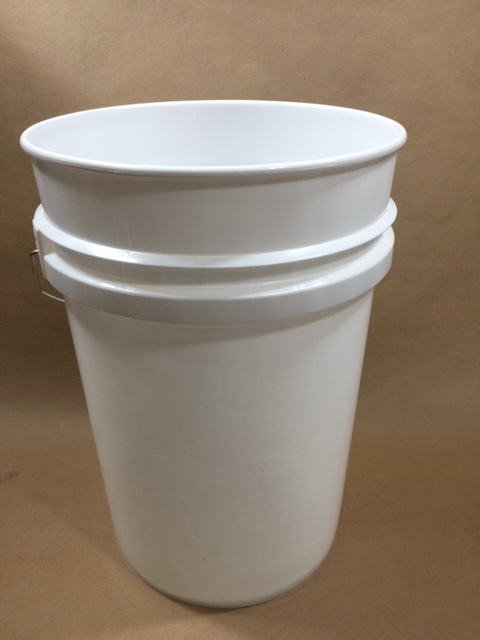 Our ice cream pails; so named because they are often used by ice cream shops, are similar to easy open pails but in a 2.5 gallon size. 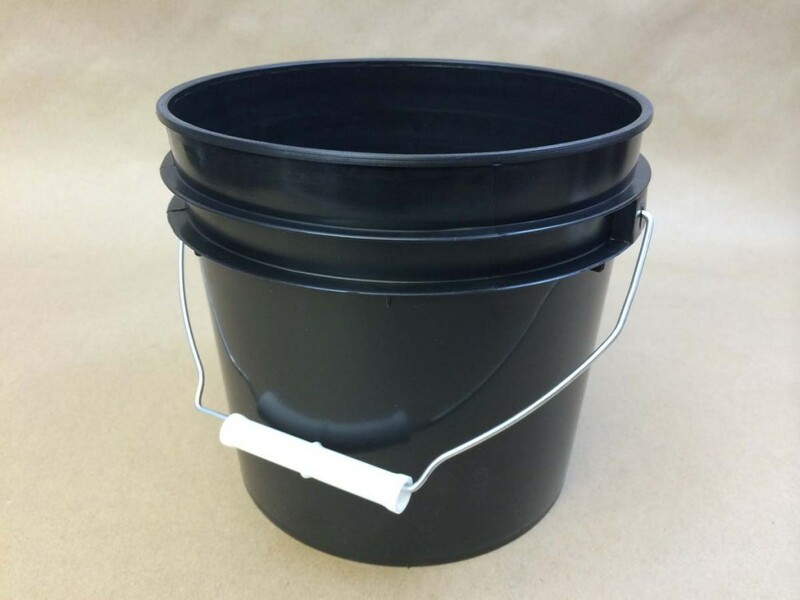 Heavy duty plastic pails are rugged shipping containers. 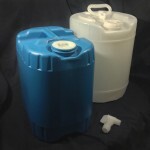 Some colors are stock, while others require a minimum purchase quantity to run. 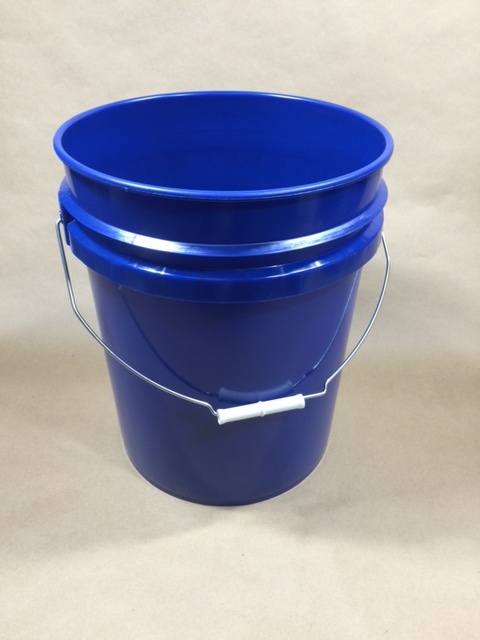 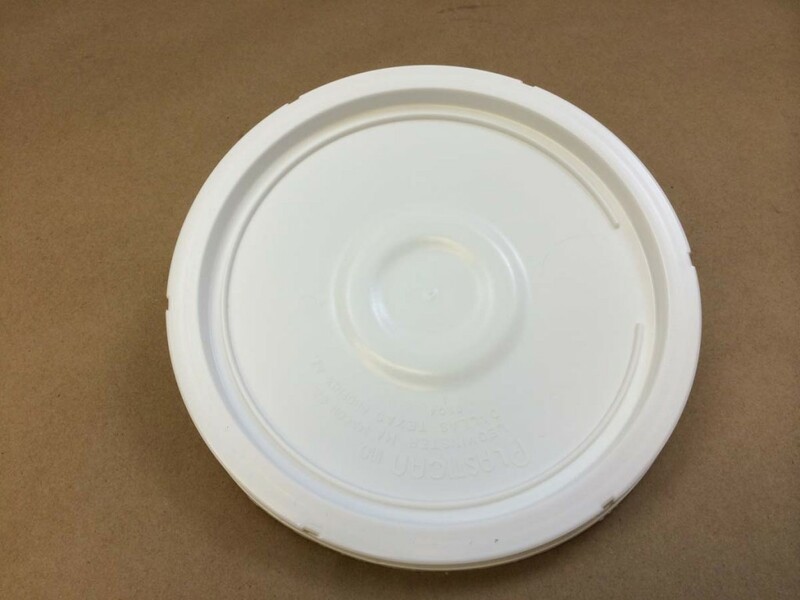 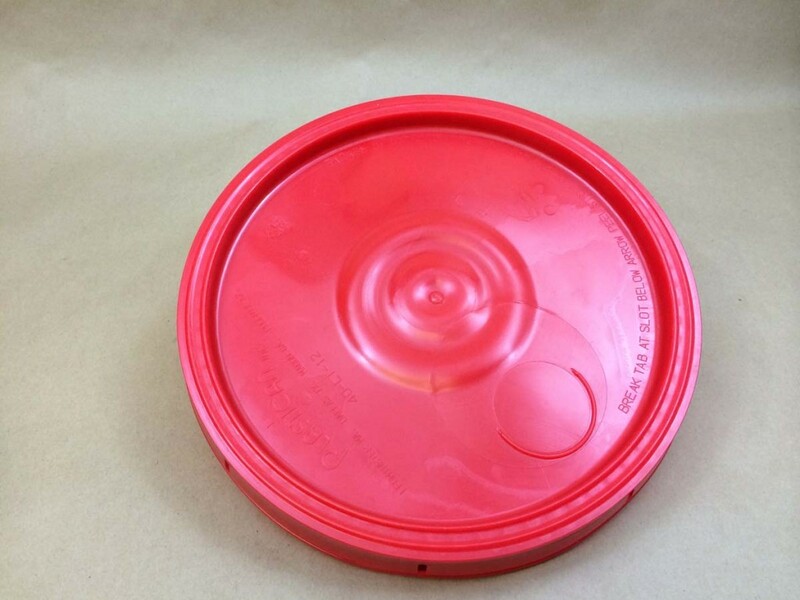 Please contact us if you have questions about minimums for a particular color or custom colored plastic pail. 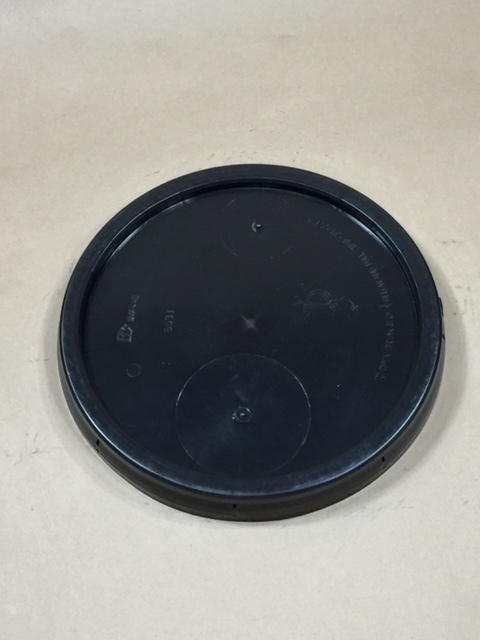 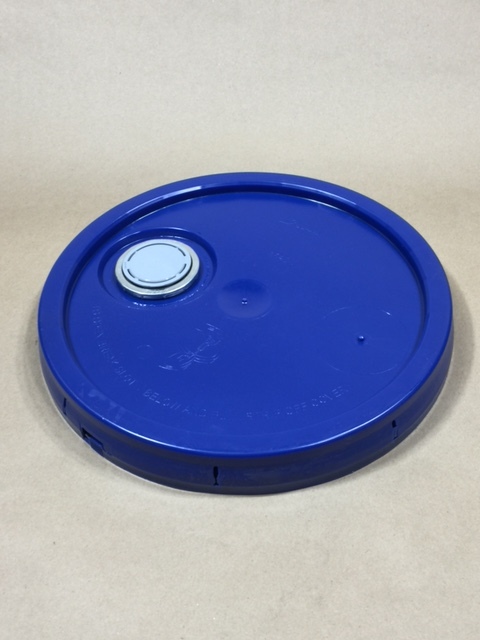 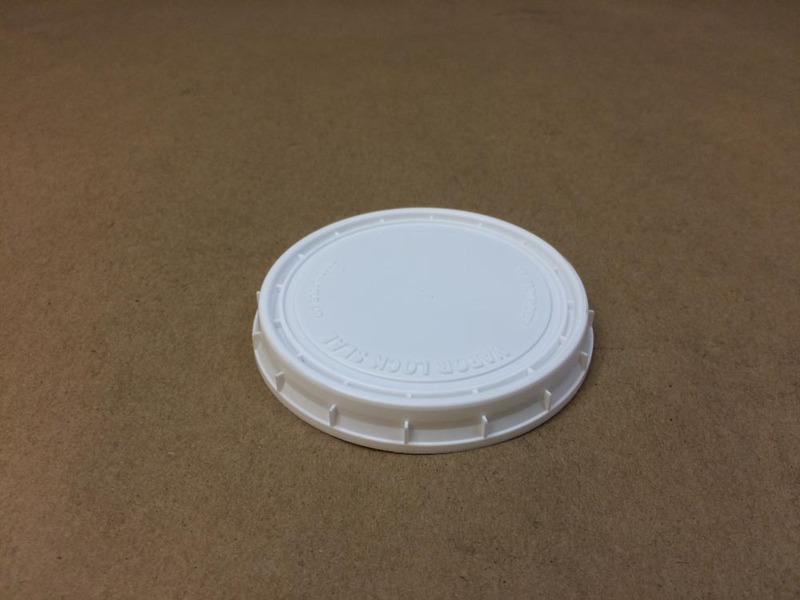 Pack: 84UN1H2/Y27/S USE WITH 40CT COVERS SECURELY ATTACHED COMPLETELY AROUND PAIL. 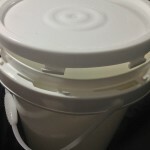 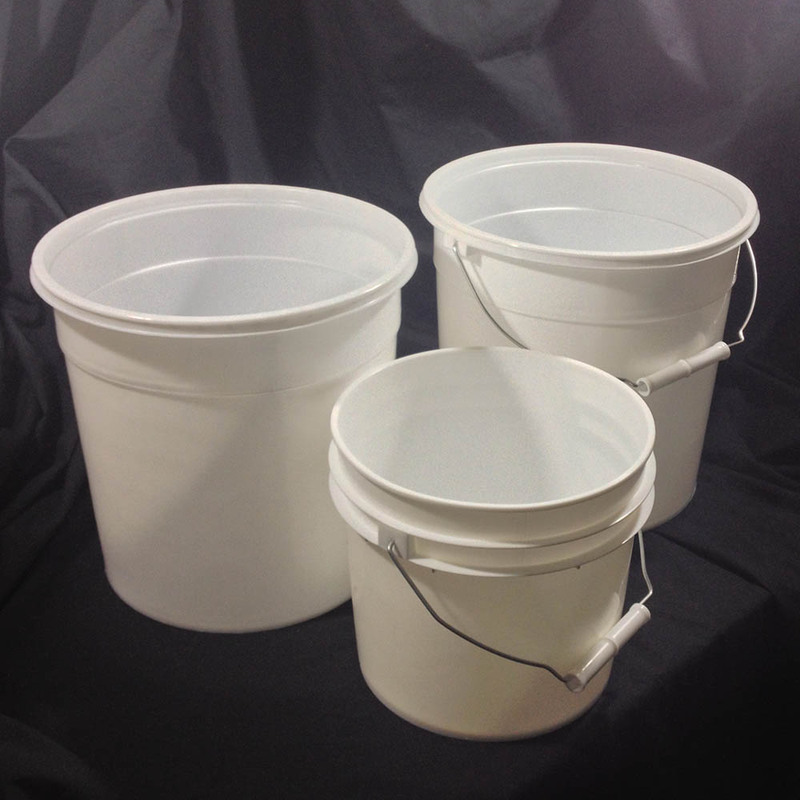 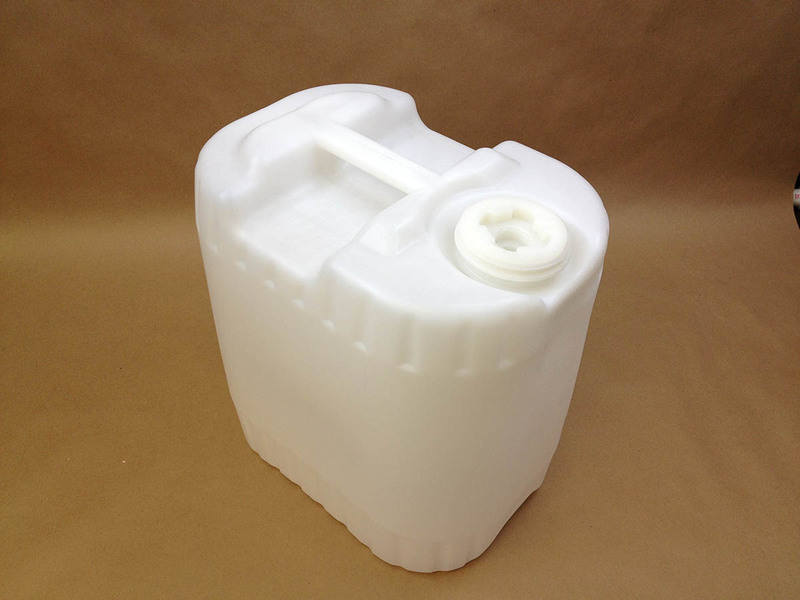 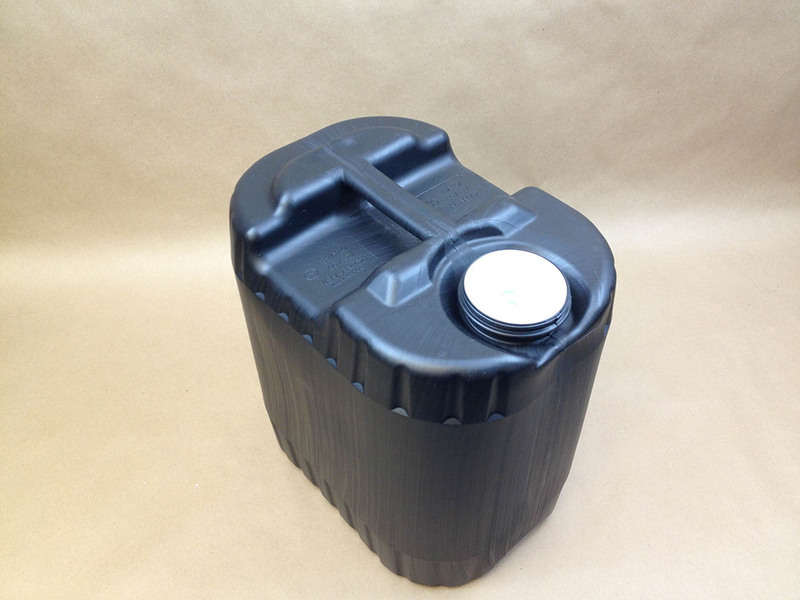 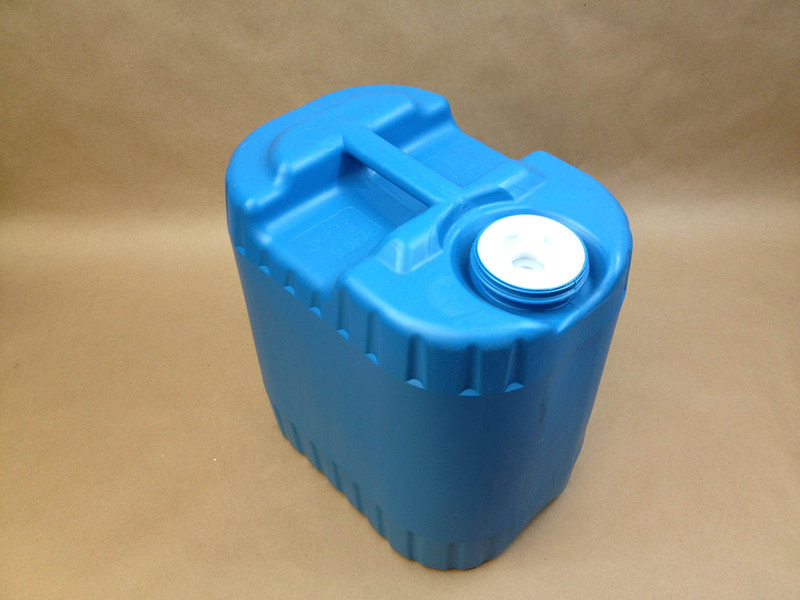 Our 5 gallon UN Liquid Pails can be used for Packing Group II and Packing Group III (Y). 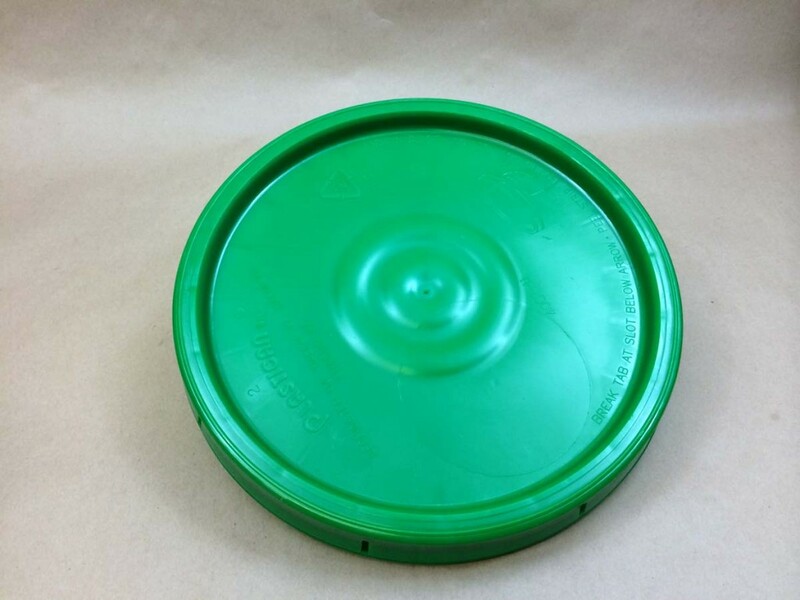 Covers that are available are both a solid cover and a cover with a flexspout installed. Either container can be fitted with a flo-right faucet for controlled dispensing. 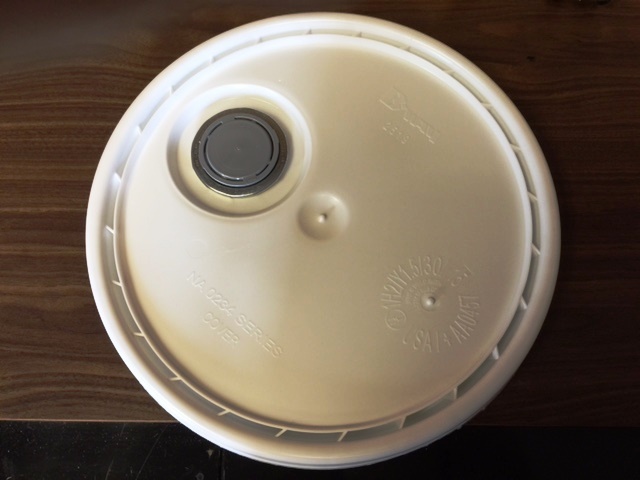 Note that the blue container takes a screw plug (threads on the inside of container) while the round natural container takes a screw cap (threads on the outside of the container). 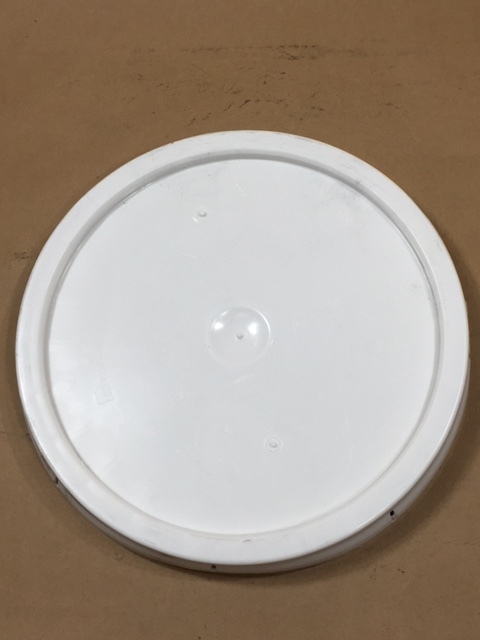 Both have the appropriate 3/4 ” center thread for the faucet. 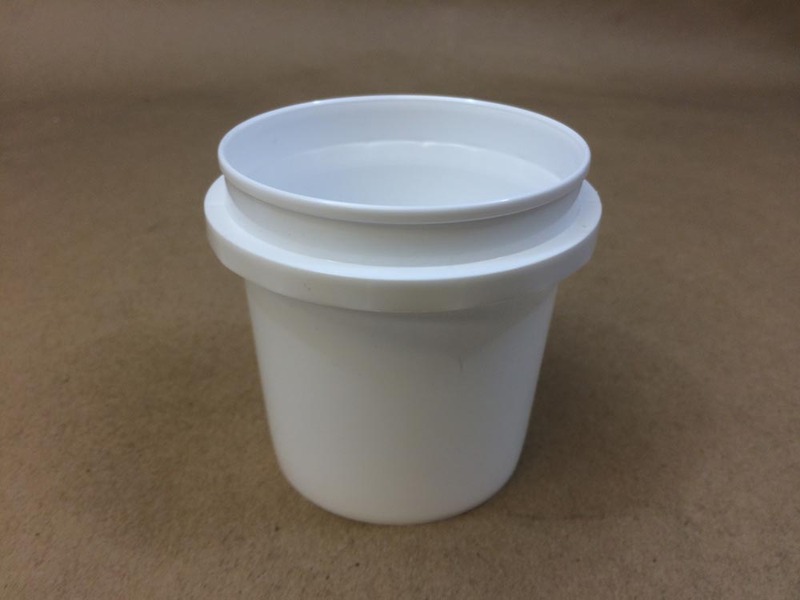 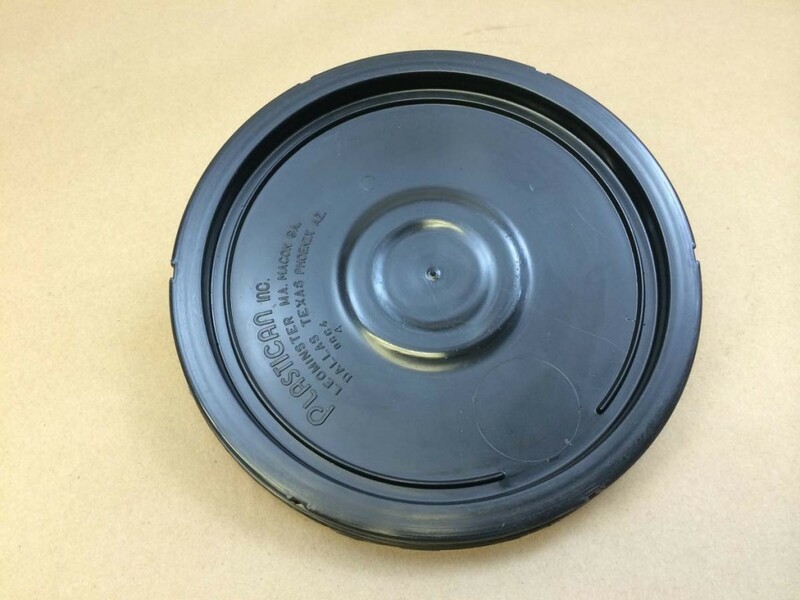 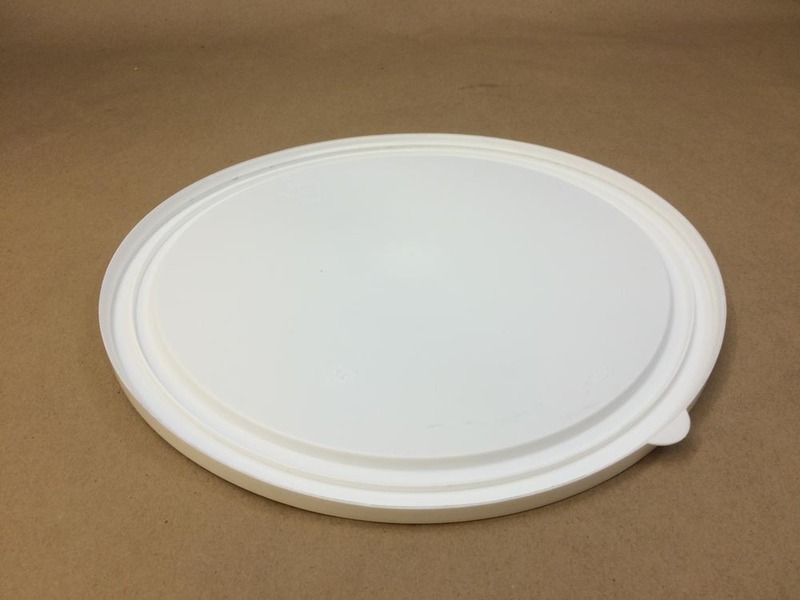 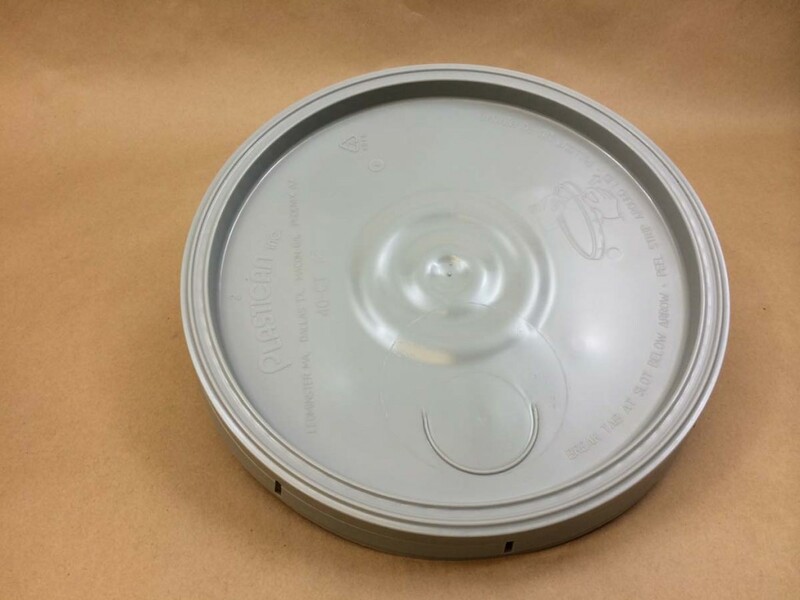 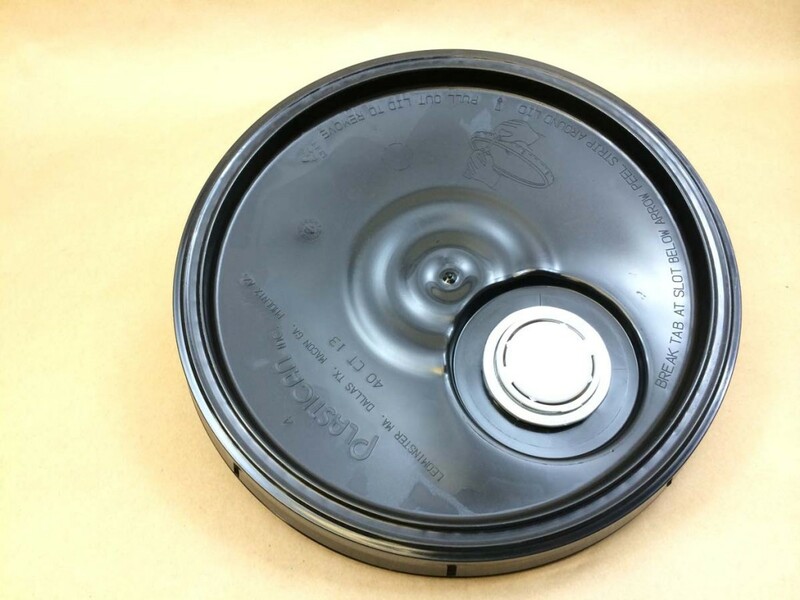 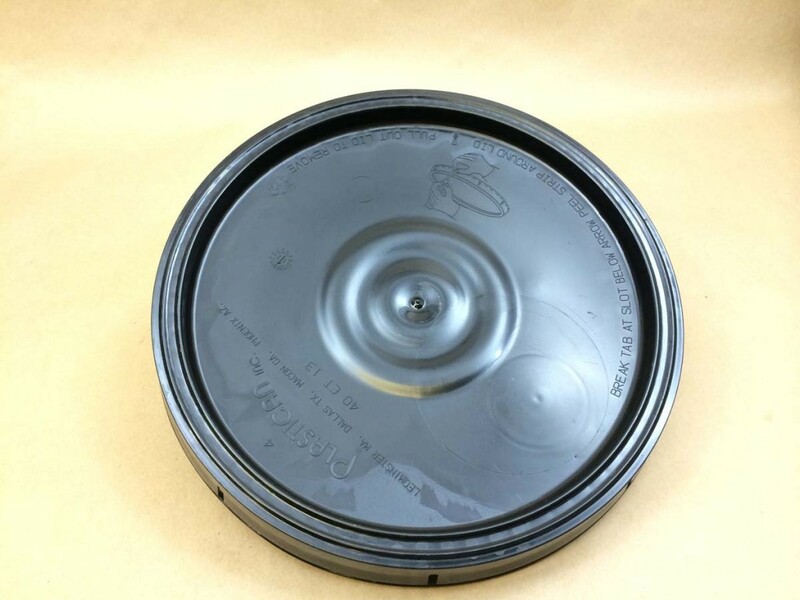 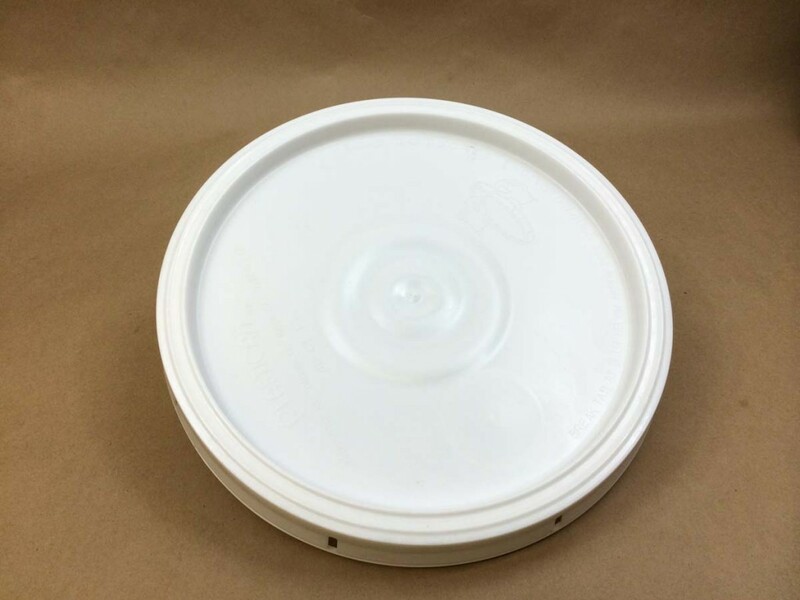 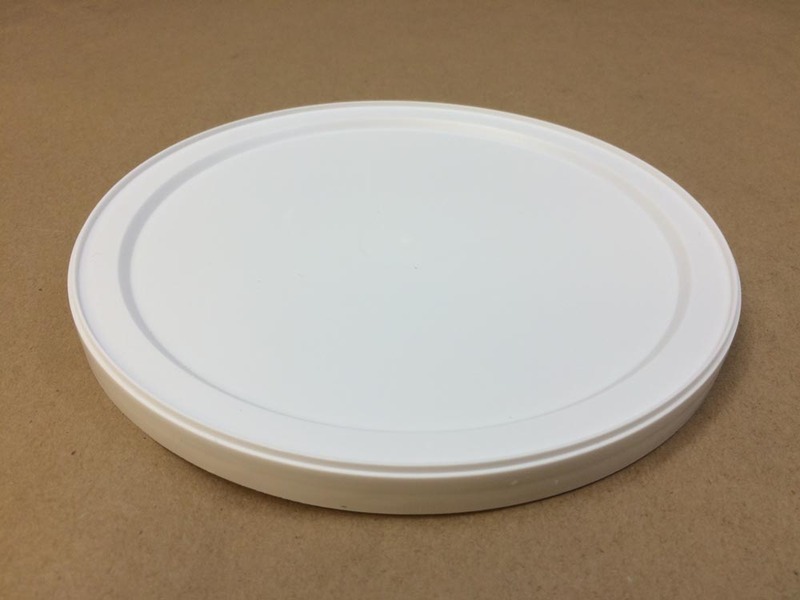 Plastic food tubs are perfect for foodstuffs and other applications where a lighter weight container is more appropriate. Also check out our easy open plastic pails and ice cream pails if a lighter weight food container is what you are looking for.